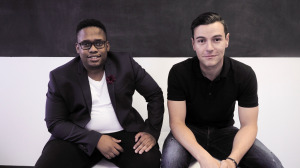 Decimal Agency has partnered with the newly established Motions PR. This collaboration aims to find economic solutions for the youth under the banner that empowered people, empower people. Raffaele Mc Creadie, managing director of Decimal Agency, says, "2018 was a rather challenging year for most of us, from a business point of view as well as personal. In anticipation that this year holds the potential for greater business efficiency and excellence, we took the step to grow and invest in a promising new business venture that has a strategic alignment with the agency." Motions PR was established in 2018 by public relations specialist and MD of Motions PR Gee Motsepe. The agency was built in a bid to explore and build a business that not only builds organisational relationships but provides a platform where young people will have the opportunity to get work experience. "As a passionate South African entrepreneur, I am excited to be part of the solution to our economic challenges in our country. I am also looking forward to the journey of building the Motions brand together with Raffaele. Small businesses are hungry to succeed, and so are we," says Motsepe. Motions PR aims to build a solid reputation for brands. Both traditional and digital methods are employed as part of the strategy to build a brand’s credibility and to assist and maintain the connection with the target audience in a meaningful manner. For more information, visit www.motionspr.co.za. You can also follow Motions PR on Facebook, Twitter or on Instagram.